The Trump administration wants to block visas and green cards for immigrants who they deem likely to become a "public charge" – upending longstanding immigration policy. That means that immigration officials could decide you are too old, too young, too poor, or too sick to reside in the United States. The proposed rules would disrupt decades of established understanding of the concept of public charge, and would impose harsh and unnecessary discrimination and exclusions on individuals who are otherwise eligible for entry or for changing their immigration status. It would especially affect people with disabilities, excluding them from our country by claiming they're more likely to need government assistance. 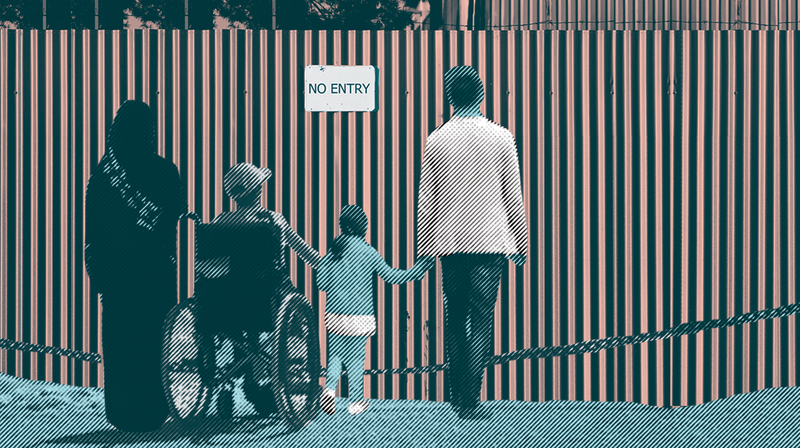 That's not only cruel, it's illegal: The Rehabilitation Act makes it unlawful to discriminate against anyone on the basis of disability, whether or not they're a citizen. Under longstanding policy, immigrants seeking entry to the U.S. or to change to permanent resident status can have their application denied if they are considered likely to be a "public charge" – meaning that public benefits represent more than half of the person's income and support. The proposed rules would radically expand the definition to include any noncitizen who simply "receives one or more public benefits." This would dramatically increase the scope of who would be considered a public charge to include people who are working, attending school, assisting in the home, or otherwise positively engaged in their communities, and who also need to use certain government programs such as Medicaid or food stamps. The Department of Homeland Security is accepting public comments on the public charge rule until December 10. If enough of us make clear that we won't tolerate Trump's intolerant immigration policy, then they just might bend to public pressure. Make your public comment now: Stop Trump's heartless public charge rule. I urge the Department of Homeland Security to withdraw the proposed public charge rule. The rule illegally discriminates against immigrants with disabilities and penalizes children, senior citizens, families, and others if they are likely to access critical medical programs or food stamps. The United States is made of immigrants seeking to improve their lives – and changing that would change the soul and character of our country. I demand you withdraw your proposed public charge rule, which discriminates against noncitizens with disabilities, low-paying jobs, pre-existing conditions, and more. It’s cruel, inhumane, and jeopardizes families nationwide.